In his never-before-published book titled Alive in the Spirit, A.W. Tozer encourages Christians to study church history and learn about the women and men on whose shoulders our faith stands. 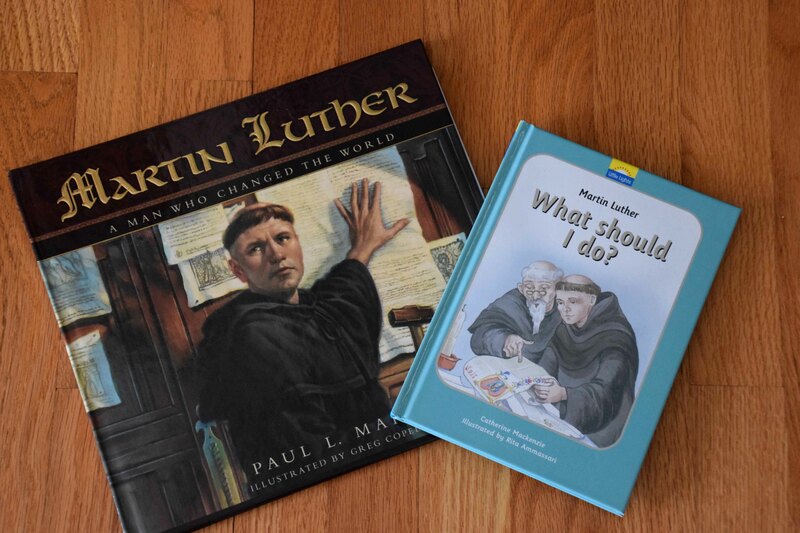 One of the most-honored figures in church history is Martin Luther. And this year, 2017, marks the 500th anniversary of the Protestant Reformation started by Luther, who protested the teachings of the Catholic Church by nailing his ninety-five theses to the door of Castle Church in Wittenberg, Germany. These ninety-five theses, and nearly all of Luther’s other works, proclaim Christ’s redemptive work on the cross and point to God’s gift of salvation by grace through faith, not through works or indulgences as the church leaders of his day were teaching. A few weeks ago at our local art museum, I saw the touring exhibit “Martin Luther: Art and Reformation,” which features many historical objects, artwork and artifacts from the 1500s. Along with my daughters and three of our dear friends, I beheld dozens of remarkable items: an early copy of the ninety-five theses that was widely distributed during Luther’s day, woodcuts by German painter and engraver Albrecht Dürer, and a cooking pot used in Luther’s boyhood home until it was buried in a heap of plague-infected household items. Most remarkable to me were the stunning gotha altar, a wooden window seat from Luther’s home, and the habit of an Augustinian monk. Because the exhibit hall was overly crowded and uncomfortably warm, it was difficult to maneuver through the museum and fully ponder the historical significance of each artifact on display. And since my cell phone battery had died, I didn’t capture a single image of this memorable experience. But what I took away was meaningful nonetheless and quite beyond what my camera could have captured anyway. Focusing on all of Luther’s notable accomplishments as a writer, translator, hymn composer, professor, theologian and pivotal figure in the Protestant Reformation, Luther seems larger than life. But after studying some of his personal belongings and even some letters he wrote by hand, I began to see a much more humble and human side of him. He was, after all, a man of flesh and blood. He sat at a table to eat and write, he sat at a window seat to pray and meditate, and he sat before people who misunderstood him, misunderstood Scripture and misunderstood Jesus’ finished work on the cross. Having just read Tozer’s book about experiencing the presence and power of God through the Holy Spirit, I am convinced that Luther was alive in the Spirit. Surely he was prompted, encouraged and empowered by the Holy Spirit as he acted in response to the living and active Word of God, particularly the Psalms and the book of Romans. Certainly Luther acted in obedience to God, but perhaps we give Luther too much credit as an individual and the Holy Spirit too little credit for Luther’s work. Tozer explains that “…it is the Holy Ghost’s business to witness to the person and works and words of Jesus and confirm that He is the Messiah, the Son of God.” And likewise, Luther’s work confirmed Jesus as Christ and reinforced His works and words. Tozer says that God has chosen to work within “the confines of His redeemed people” but is not restricted by the limits of human ability. “God does not work within the confines of our strength; God works according to His character and nature and power,” he says. Near the end of his life, Luther was not thrilled when his friends began gathering up his works for publication. He was willing to let much of it go because, “what mattered most was nothing that he had done but what God had done for him,” says Mark A. Noll in Invitation to the Classics. 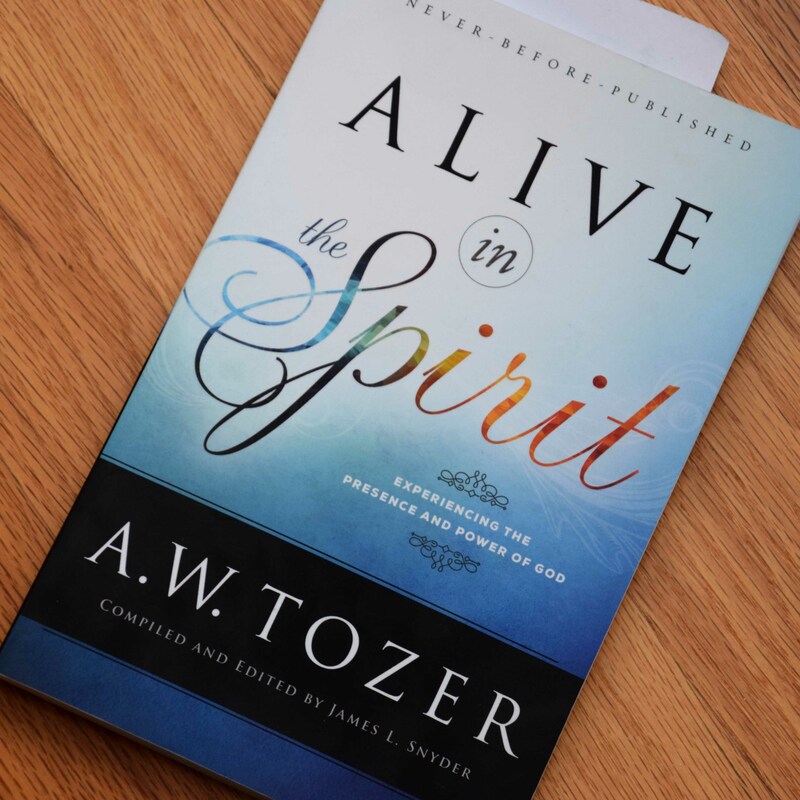 Boldly proclaiming the truth of God’s Word to the world around us, just as Luther did, is what the Holy Spirit empowers Christians to do, Tozer says. And so it is imperative that those who follow Christ are aligned with God and His will as revealed in His Word by the Holy Spirit. “The Bible gives us the power to do and to witness. We are to tell what we have seen, heard, felt and experienced. It all centers on the person of Christ,” he says. NOTE: Often quoted and frequently referred to as a “modern-day prophet,” A.W. Tozer, like Luther, was a theologian, pastor and author. He lived from 1897 to 1963. As an authority on Tozer’s ministry, Rev. James L. Snyder compiled and edited a series of Tozer’s sermons to create this book about the Holy Spirit. Although the content comes from sermons given many decades ago, the book is quite relevant for followers of Jesus today. To equip me for this review, Bethany House Publishers provided a free copy of the book.